Did Ben Franklin “discover” electricity? Okay, fine. Scientists were working with electrical forces for over a thousand years before Benjamin Franklin supposedly flew his famous kite. What Franklin’s experiment did demonstrate was the connection between lightning and electricity. Franklin attached a wire to a kite. Then, he attached a hemp string and a silk string to the kite. The wet hemp would conduct an electrical charge, while the dry silk string would not. Finally, Franklin attached the famous metal key to the hemp string and flew the kite. As the storm raged, he waited… and waited, and waited. Just as he was about to give up, Franklin noticed loose threads on the hemp standing erect. He touched the string near the key and felt an electric spark. Lightning never struck the kite or ol’ Ben directly, but the kite did pick up the ambient electric charge in the air. If lightning had struck Ben’s kite directly, our founding father would’ve been as fried as a frat boy on Saturday night. We don’t know if Franklin actually conducted his famous experiment, but we do know he contributed to the scientific study of lightning and electricity. Franklin coined several electrical terms we still use today, like battery, conductor, and electrician. He also invented the lightning rod. What’s this got to do with Early Bird Electric and the tips these blogs are supposed to provide? We like to think about the Ben Franklin story because it reminds us of how far we’ve come. Our understanding of electricity has advanced from flying kites in the rain to relying on the massive system we enjoy today. It’s pretty awe-inspiring to think about. Plus, it helps put electricity in context and helps us appreciate it better. 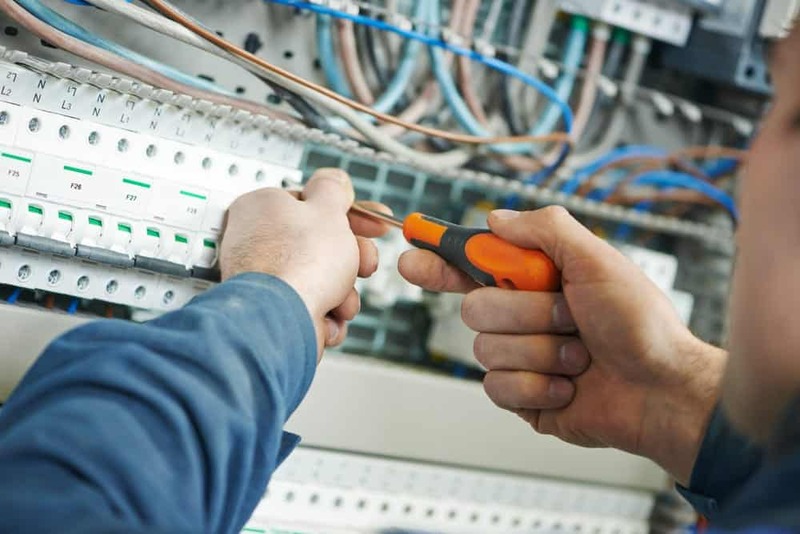 If you know how awesomely powerful electricity is, then when you run into electrical problems you’ll understand you should treat them seriously. That’s why it’s a good idea you learn the basics. The more you know and all that. On a very basic level, energy is created by coal, solar, nuclear, wind or hydroelectric processes. Power plants convert this energy into electricity. Coal/Gas: Power plants burn coal or natural gas to create heat. This heat boils water to produce steam. The steam moves through a high-pressure tube until it pushes a turbine to produce electrical energy. Solar: Solar thermal power systems collect and concentrate sunlight to produce the high-temperature heat needed to generate steam. The plant converts that steam into mechanical energy in a turbine and that powers a generator to produce electricity. Nuclear: Nuclear fission (when one atom splits into two and releases energy) is used to create steam then the steam which turns a turbine that is connected to a generator to make electricity. Wind: Wind turns two or three propeller-like blades around a rotor. The rotor is connected to the main shaft, which spins a generator to create electricity. Hydroelectric: A hydraulic turbine converts the energy of flowing water into mechanical energy. Then, a hydroelectric generator converts that mechanical energy into electricity. about 63% of our electricity was generated via fossil fuels (coal, natural gas, petroleum, and other gases). about 20% was from nuclear energy. and about 17% was from renewable energy sources (Hydroelectric – 7.5%, Wind – 6.3%, and Solar – 1.3%, with the rest coming from wood, solid waste, and geothermal). Once the plants create the electricity, they send an electrical current through transformers. Transformers increase the electricity’s voltage so it has enough power to travel long distances. After transformers charge it up, the electrical charge moves miles across high-voltage transmission lines. Eventually, the transmission lines reach an electrical substation. At the substation, other transformers lower the voltage to make it safe for the smaller “distribution” power lines. These distribution power lines bring electricity to your neighborhood. From there, smaller pole-top transformers reduce the voltage again to make the power safe for your home. It gets to your home through the service drop…. Good question! A service drop is the main electrical line that runs from transmission lines to the service head at your house. It’s called a service drop because this line is higher than your home–so the feeder line literally drops. From there, the electricity goes to a meter that measures how much your family uses. Then it passes through your main service panel, where it’s directed and distributed throughout your home. Breakers or fuses inside your service panel prevent your home’s electrical equipment from overloading. After passing through your service panel, your electricity moves all throughout your home to supply power to all your devices. You’re ready to flip a switch and turn on your TV, lights, computer, and refrigerator. Pretty awe inspiring. In part 2, we’ll talk about how the electricity safely travels from the service panel to your outlets and appliances. Your electricity’s come a long way, but its journey isn’t over just yet! In the meantime, if you have any electrical questions, you can always get in touch with EarlyBird Electric. We’re always happy to help make sure everything’s working right.